An adaptation of the Greek myth of Demeter and her daughter Persephone, in an exciting universe that blends high fantasy adventure with visuals reminiscent of Japanese anime and 1950s American-style comics. Persephone is an ordinary girl, which is exactly what is bothering her. She may be the adopted daughter of the famous magician Demeter, but Persephone struggles to find her place alongside such a force of nature. Driven by recurring nightmares as well as a budding curiosity, Persephone decides to explore the secrets of her birth, which everyone seems rather intent on keeping from her. With or without help, Persephone will embark on an epic adventure deep into the Underworld where she'll discover far more than she bargained for. 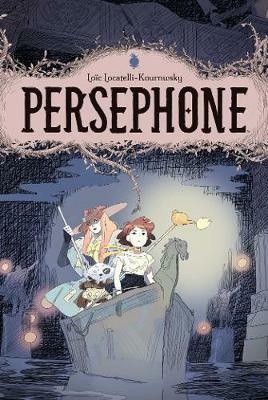 Storyteller Loic Locatelli-Kournwsky weaves a story of magic and intrigue in this stunningly rendered modern retelling of the Greek myth of Goddess Demeter and her daughter, Persephone.